This Analog Adventure: Whats in my Bag? 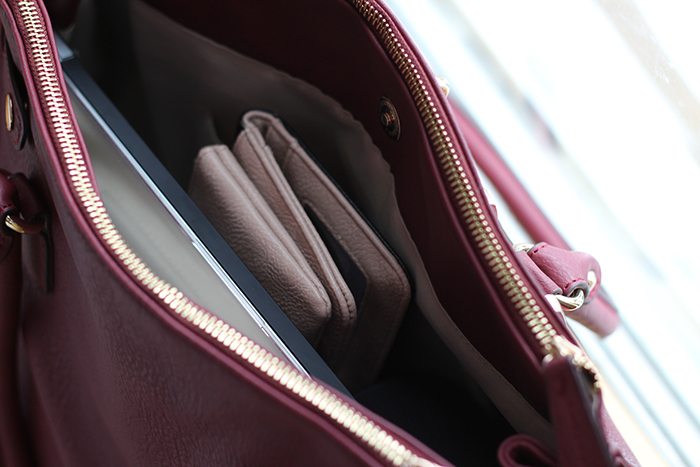 I recently updated my handbag so that I could fit both my laptop and my DSLR, so I thought I'd take a minute to show you what I carry around on a day-to-day basis! I love these posts, so I thought it would be something fun to do :) My bag is from Aldo, if anyone is wondering! This bag has three sections - the larger main one, and two sides. In the main compartment I carry my Macbook, Wallet, DSLR, laptop charger, and phone. These are the things that I use the most, so I like to have them handy. Even with all of this in here, the magnetic button still does up, which is awesome. 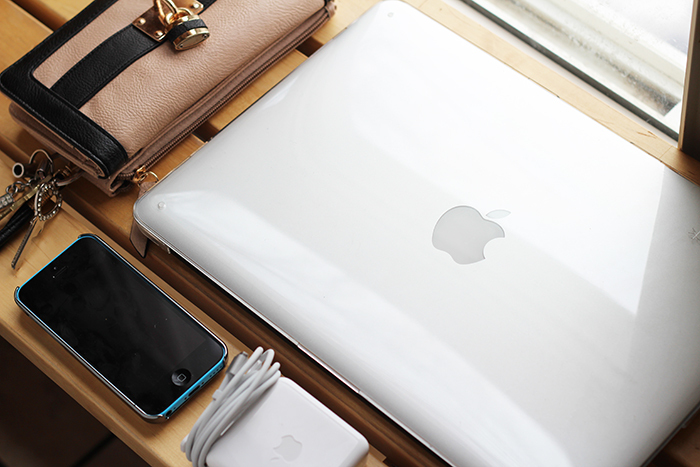 I also have a bit of extra room for a water bottle or travel mug, which I almost always have with me. 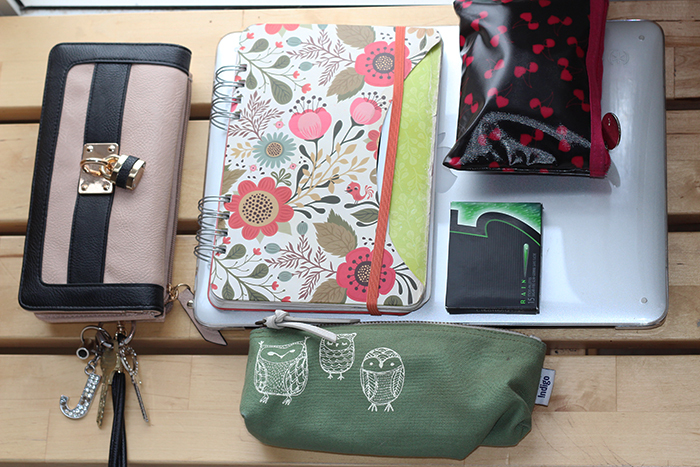 In the smaller sections, I keep my day planner in one and my pencil case & makeup pouch in the other. I like to carry around a lot of little bits and bobs, so I put them in a little pouch to keep them all together. I also always have gum on me, and spearmint is pretty much the only flavour I like. And there you have it - everything I tote around in my bag. 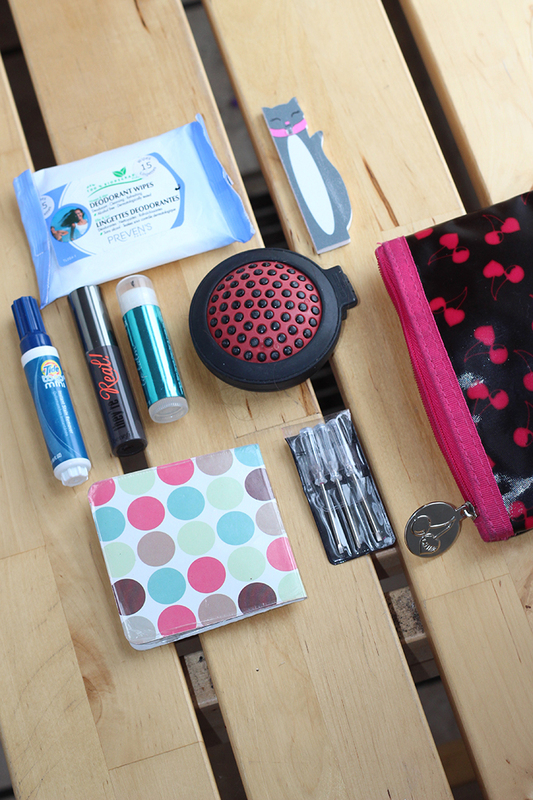 I'm a bit of a pack rat, and I used to carry around another bigger pouch solely full of makeup, but I almost never actually used it so I've forced myself to stop bringing it. My shoulders thank me for it! What do you need to carry with you that I don't have here? 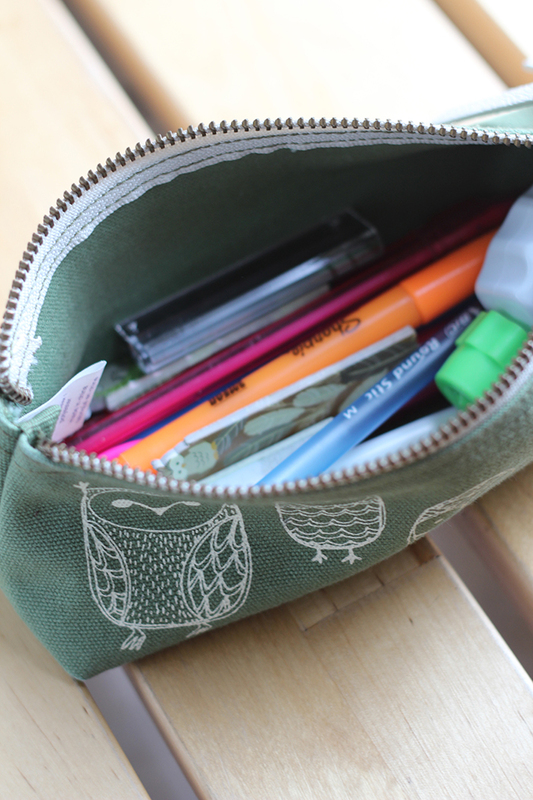 That owl pencil case is adorable! 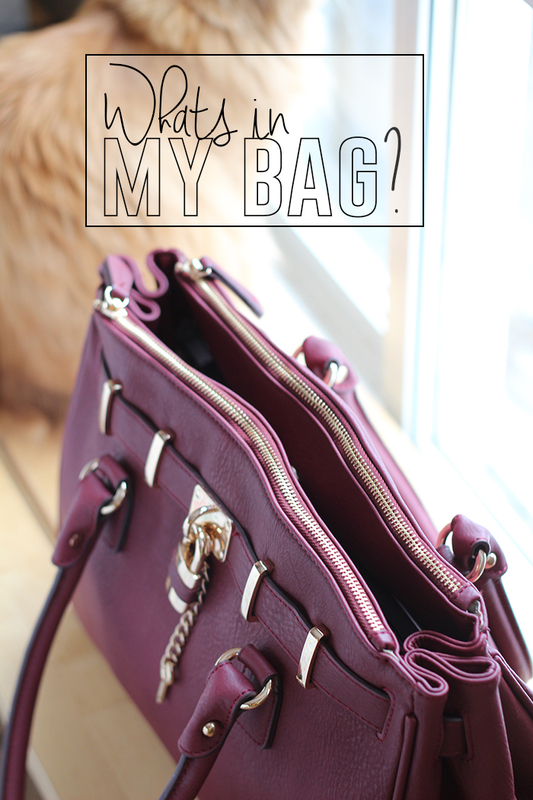 I just posted my 'What's in My Bag' post the other day! I've added and taken away a few things, but it's pretty consistent. I always try and have a flashdrive on me and extra hair ties. Oh and all my cords for my phones & devices. 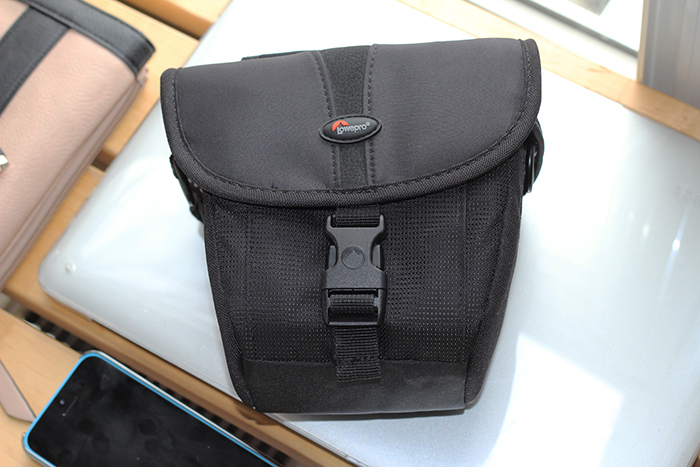 I am amazed you fit your dslr and macbook in it, with your dslr in its case! I must ask, where did you find the bag? I need a cute one! Great post! About half the time I carry around a big make-up bag, but that's because I sometimes put make-up on after I leave the house. 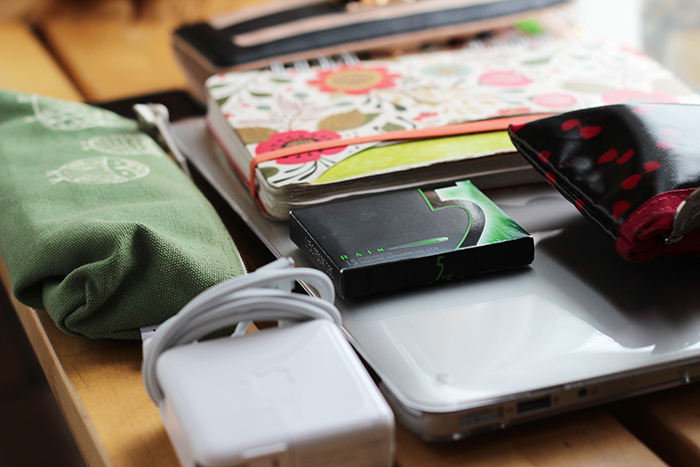 I also carry around notebooks and a book or my Nook. ah, extra hair ties...those I normally wear around my wrist, but I usually have a few floating around in there, haha. The purse is from Aldo...the ugly camera bag is from futureshop, haha. It all fits but its quite heavy. haha well the macbook air is actually pretty darn light! Its the camera that is heavy, lol. That bag looks super useful with the size! I really love your pencil case and notebook. They look adorable. We have the same brush too! Your purse is so cute! It's must be quite large to fit both your DSLR and laptop! I'd love tote mine around but I'm boring in that I basically only go to work and the dance studio and home, haha! 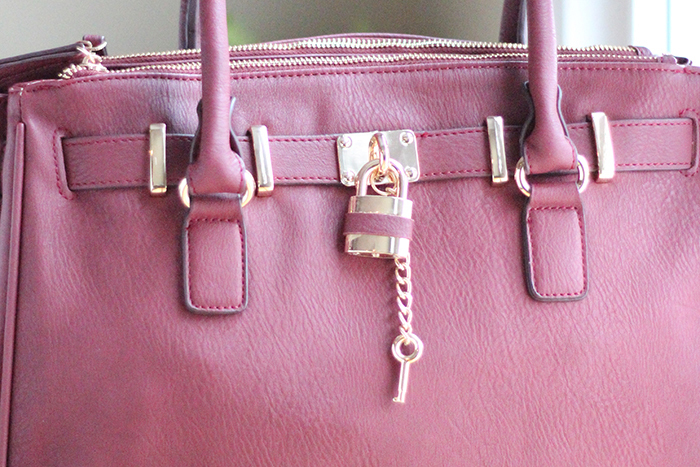 Damn, that is one gorgeous bag. I love these posts too but I go out so rarely that my bags are empty by default, and I only toss in whatever I'm going to need when running an errand, so like - my wallet and whatever I need to mail and sometimes my camera. Boring post!